A grumpy crocodile and a happy-go-lucky alligator are best friends. Croc and Ally couldn’t be more different, but these two would do anything for each other! Each book contains three fun stories about two friends and their silly adventures in life. “Croc and Ally are good boys. 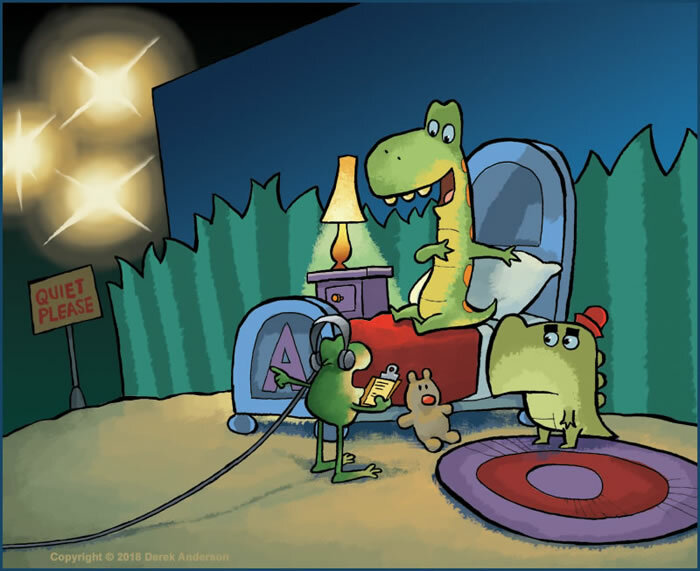 Come along for a glimpse behind the scenes of the CROC AND ALLY books! 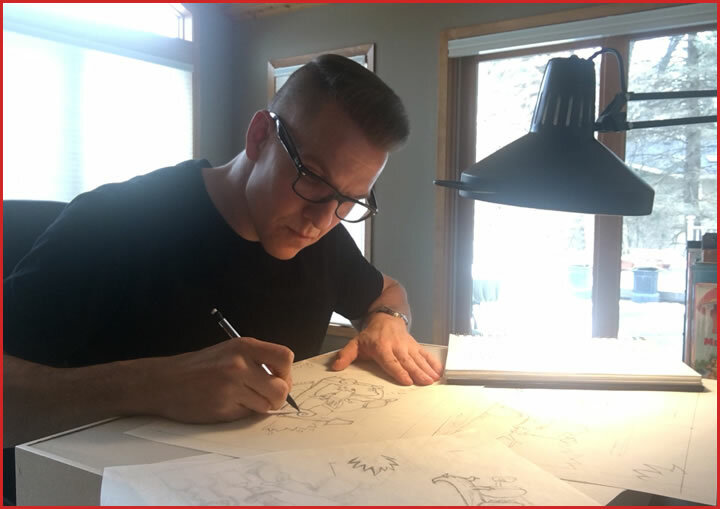 We'll give you an exclusive first-look at what went on while we were making the books. You'll see real-life pictures of the characters between stories, relaxing on the set and even a blooper (Ally couldn't help himself). Click on the picture below for more! 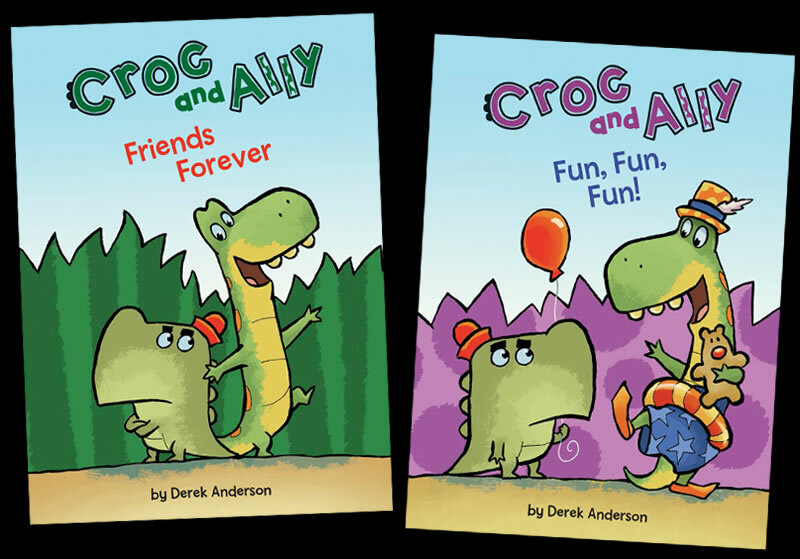 CROC AND ALLY creator Derek Anderson loves to bring his characters out of his books and into the world for readers to experience. When kids draw a character or invent something of their own for a story, they experience that world in a whole new way. 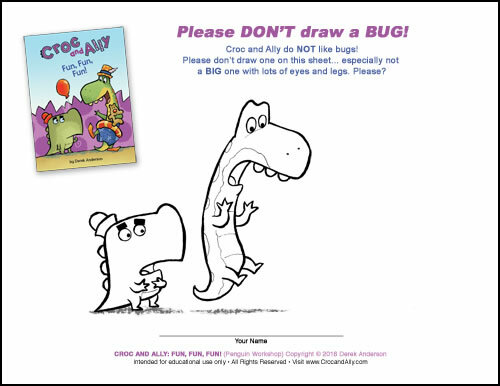 You can download the CROC AND ALLY activity sheets below, just click on each page for a downloadable version and follow the prompts on your computer to print. Derek won’t say which one he likes more— crocodiles or alligators. CROC thinks it’s crocodiles. ALLY is sure it’s alligators. 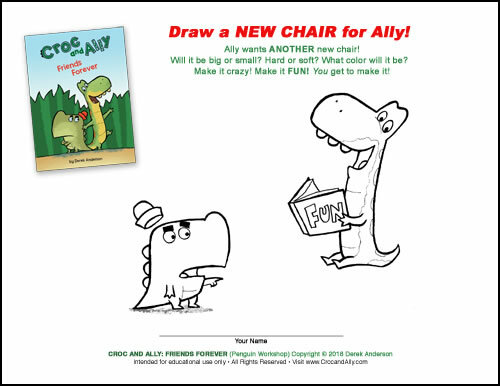 But one thing is for sure… you’ll learn a LOT more about both when you read CROC AND ALLY'S two new books! You’ll discover what makes crocodiles grumpy, which chairs alligators like to sit on and the games they play when the two are together. And you'll find out the one thing that both crocodiles and alligators are afraid of!